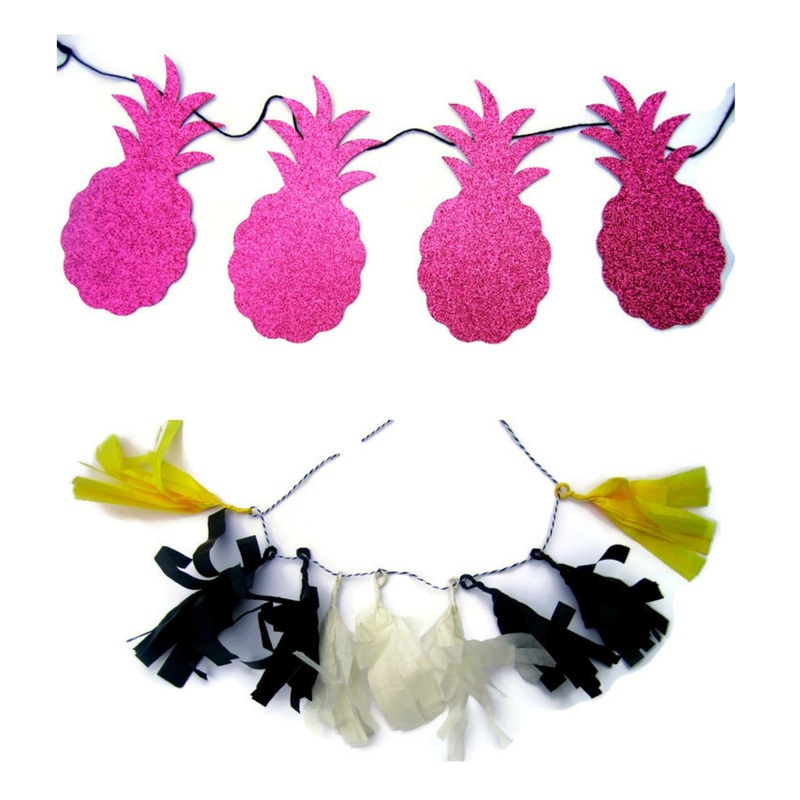 Mini Party Collections is here! 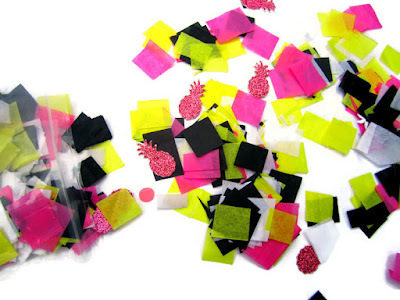 Introducing Mini Party Collections brought to you by Fizzy Party and Fancy & Fold. 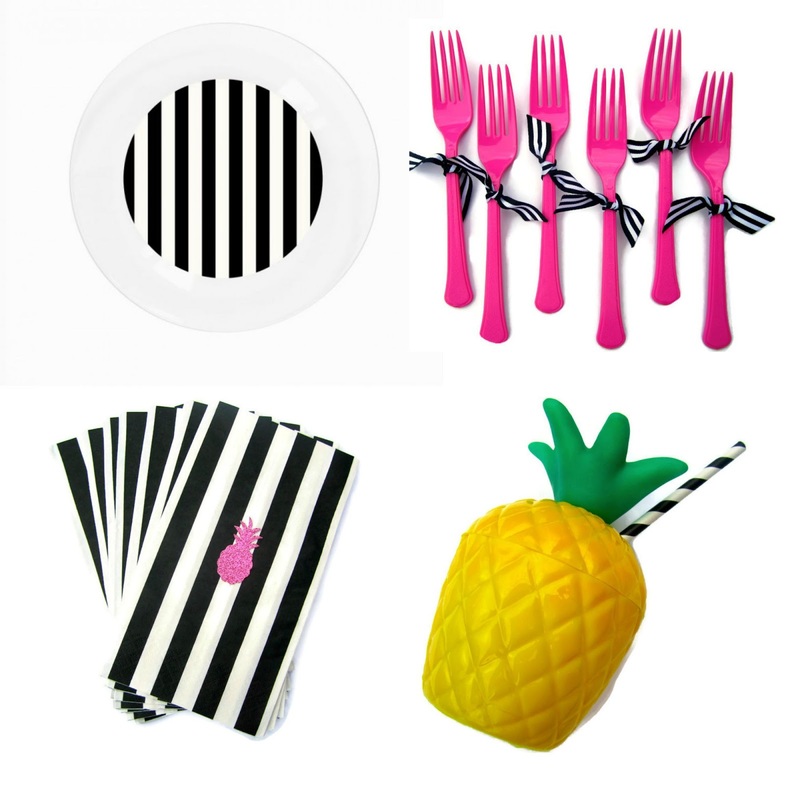 Modern designs and fabulous themes shipped right to your door. Each box we'll bring you a different theme in limited quantities. You'll want to collect them all! We designed our boxes for the one with no time to shop or plan. These are for the working mom, the socialite, the CEO's, and the mommys. Those with no time to shop. No room in their schedule to plan or no idea how to even throw a party. All you do is add up to 6 friends, your favorite drinks and a fruit and vegetable tray (by that we mean a box of cupcakes or donuts.) Everything in the box is ready to use, right from the box. No over the top decor to fuss with. Just simple easy decor so you can spend your time having fun and making memories. High quality tableware awaits your delicious food and drink. Fill the plates with some Hawaiian Chicken , Grilled Chicken and Pineapple skewers, Hawaiian pizza , some Huli Huli Chicken or do like I do and pick up some Hawaiian food from your local restaurant. Thick plastic forks and high quality thick napkins will be appreciated by your guests. Pineapple cups with straws are great for sipping your tropical drinks in and make fun photo props too. Pineapple Juice, mango juice and guava juice are all refreshing choices too. We don't give you just one garland but two! Put one on the front door, on the dessert table or above the table on the wall. Handmade out of quality materials. For dessert: cupcakes, brownies,Pineapple Candy Kabobs from Sweets Indeed, or some crispy tiki's from Sweets U Off Your Feet carry the theme throughout. 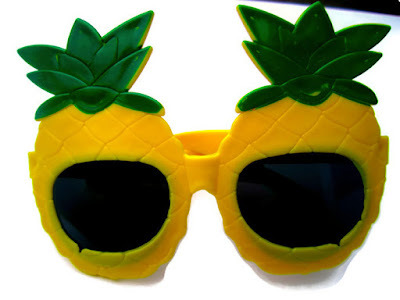 Everyone loves to share how much fun they're having at parties so we've included pineapple sunglasses for fun selfies. Don't forget to tag your photo's #minipartycollections so we can see how much fun you're having and feature you. No party is complete without confetti!!! Sprinkle it on the table, make it rain as you snap shots of each other having fun or include it in thank you cards to your guests. Who's ready to party? If you are, get your box before they're gone! 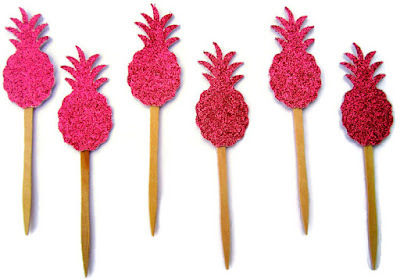 YAY Congratulations love it and Partying like a Pineapple what a fun and cute idea to start with perfect for summer so happy for both of you lovely ladies! Susan, thank you! You are such a wonderful and supportive person. We're very excited !!! Yahoo! What a fun party-in-a-box theme!